Nearly a month after Fiat Chrysler recalled 702,000 minivans and SUVs because of an ignition switch issue that can lead to disabled safety features, Volkswagen announced it would recall more than 20,000 Routan minivans that were produced by Chrysler at the same facility. According to a notice [PDF] from the National Highway Traffic Safety Administration, Volkswagen will recall 20,676 model year 2009 to 2010 Routan minivans because road conditions or some other jarring event may cause the ignition key to inadvertently move to the off position, turning the engine off and disabling the airbags, power steering and power breaks. 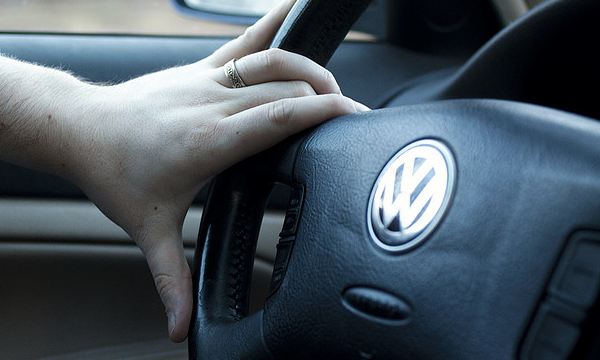 Volkswagen advises owners of affected vehicles to remove all items – including the key fob – from their key rings, leaving only the ignition key. Last year, Volkswagen recalled nearly 18,500 model year 2009 Routan minivans for the same issue. The company says that some vehicles fixed under that campaign are not being re-recalled. However, if the previously recalled vehicle only received an ignition switch trim ring as a remedy, it will need to be fixed again. Volkswagen’s latest recall was initiated in response to Fiat Chrysler’s recall of more than 700,000 minivans and SUVs for ignition switch issues last month. According to NHTSA, Volkswagen made “numerous requests to Chrysler regarding a recall repair remedy and parts supply plan for recall implementation” for vehicles made at the same time as the minivans being recalled by Chrysler. Nearly a week later, the company finally received the parts supply and build plan from Chrysler regarding the recalled vehicles. Volkswagen says it will notify owners of affected Routans and dealers will replace the ignition switch and key fobs. The recall is expected to begin this month for the 2009 Routan and in August for the 2010 Routan vehicles.